Max was treated to a few new pieces from Auntie Jenna (my sister) over the weekend and I just couldn’t wait to put him in them! 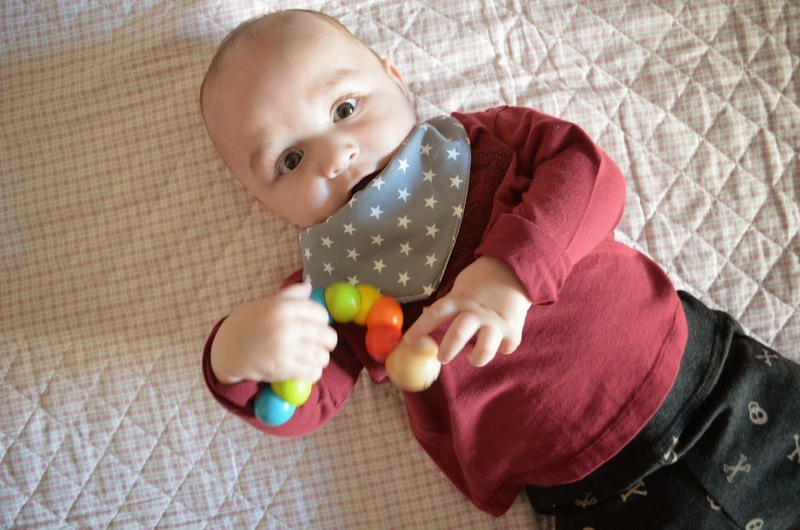 His bib is from Jack and Jillaroo of course, I’ve mentioned these dribble bibs a lot recently but I honestly can’t get enough of them. The quality, design and how they pull an outfit together is great! 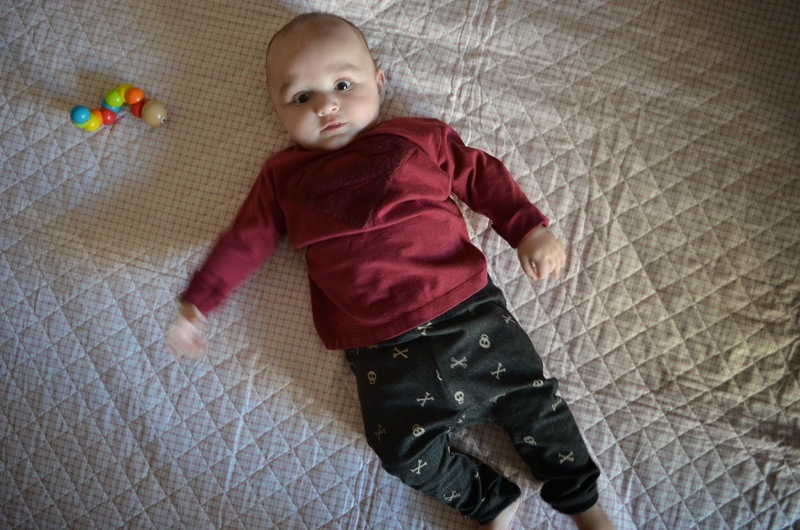 These gorgeous skull and bone leggings are from baby Zara of course! They have a thicker texture and feel more like jogging bottoms so extremely comfy to wear. The design is right up my street, I love edgier pieces on Max. Maxi’s top is yet again from baby Zara. It has a lovely subtle superman embalm on it which is great because I really don’t like the full on super hero costumes on babies. This weeks favourite toy is this wiggly worm from Sainsbury’s. 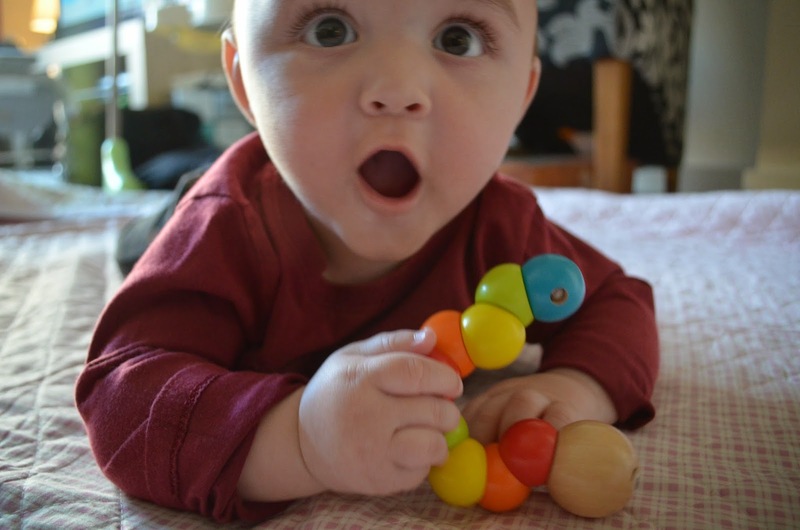 It’s wooden and colourful which I like, I try and stay away from plastic as Max has a tendency to put toys in his mouth. 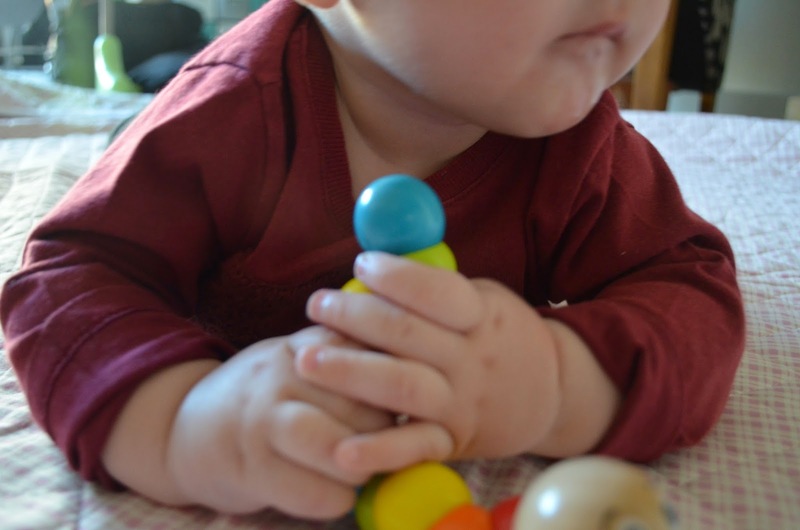 Look at those chubby hands! That’s it for this week, I hope you liked his outfit. Now that he’s bigger he really looks like a little man in his clothes. Who knew dressing boys could be so much fun!